Divorcee Jenna Scott moves to a quiet California fishing village during the first Gulf War to make a new life in a house inherited from her grandfather. 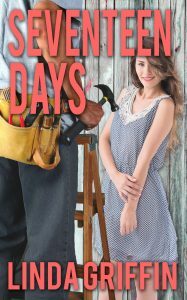 Her next-door neighbor recommends widowed handyman Rick Alvarez to fix her leaky roof. Jenna is intimidated by his good looks and annoyed by his self-assurance, but disarmed by his affection for his young son. She is still hurting from her ex-husband’s betrayal and resists the attraction between them. Rick has lived in the village for only three years and is still an outsider, friendly but not sharing his past with anyone. When an attractive vacationer is murdered, local gossip says he is the killer, and rumors spread about his wife’s death as well. Jenna is determined not to believe the gossip, but will she ever be able to trust Rick with her wounded heart?